Ships today if you order in the next 7 hours 21 minutes. Adults: As a dietary supplement, take 1 capsule with each meal. If pregnant or lactating, consult your physician before taking this product. 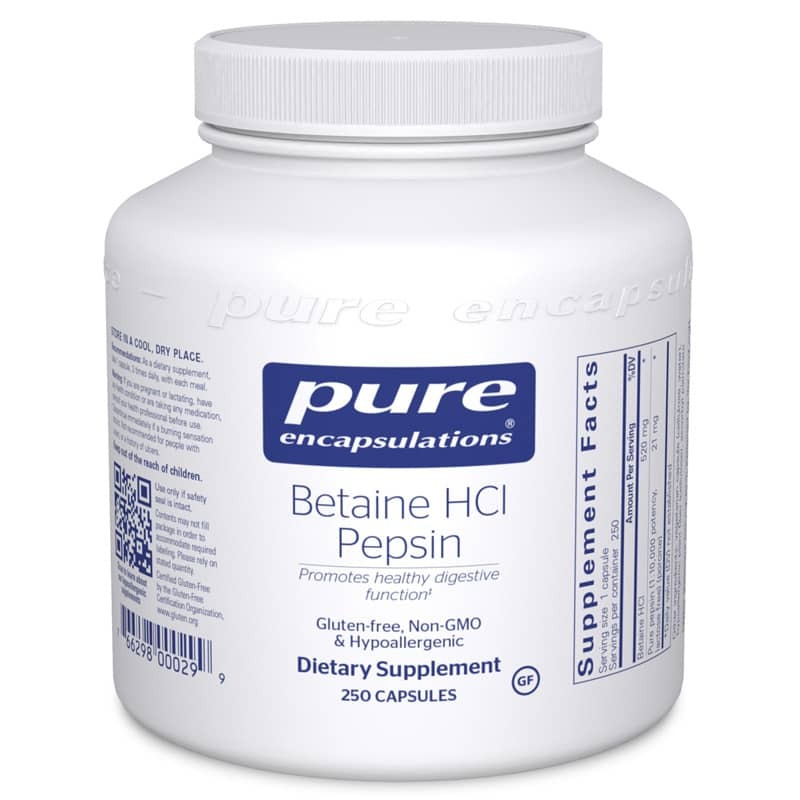 Large amounts of betaine HCl may cause stomach irritation. Individuals with a history of peptic ulcers, gastritis, or gastrointestinal symptoms should consult their physician before taking betaine HCl. People taking nonsteroidal anti-inflammatory drugs (NSAIDs), cortisone-like drugs, or other medications that might cause a peptic ulcer should not take betaine HCl. Consult with your physician for more information. Keep out of the reach of children.